Free Christian Music Downloads (music, music videos, art, poetry and inspirational reflections. New Song Ministries is a religious, non-profit, non-stock organization whose mission is to provide Biblically-based, high quality, and useful sheet music, recordings, and other music supplies to fundamental Christian churches, schools, families, and such other institutions desiring the use of such materials. This ministry aims to assist local churches, Christian schools, and individual believers in praising the Lord and edifying the saints with godly Christian music. Through sheet music, recordings, and books, NSM seeks to provide resources that are separated to the beauty of holiness and separated from the sinful world system. NSM strives to produce materials that are of high music quality, fresh in sound and useful to those who seek to serve. NSM will make available existing resources from the Republic of the Philippines; however, it is the encouragement of Filipino musicians that is at the heart of this ministry. Therefore, NSM is working to identify and encourage Filipino authors and composers of song texts, congregational songs, and special music arrangements. NSM resources include Recordings, Octavo and Books, with newest item "Christmas Cantata with Drama and Tagalog Translation". 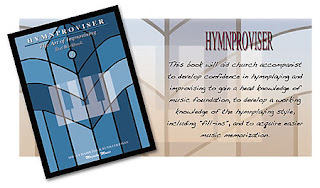 Also available is Hymnproviser Vol.1 which is an aid for an accompanist to develop confidence in hymn playing and improvising to gain a head knowledge of music foundation, to develop a working knowledge of the hymn playing style, including “fill-ins”, and to acquire easier music memorization. Six years ago, Gospel Light Baptist Church started duplicating CDs. Two years later, Mr. and Mrs. Douglas Bachorik, both musicians, came to the Philippines to help start the Music Department of Bob Jones Memorial Bible College. They started NSM (New Song Ministries) with the help of other friends and adopted Gospel Light Recordings (GLBC’s recording arm) to NSM. NSM officially started October of 2002 and produced its first CD. NSM does not receive any profit in return for the materials it sells mainly because prices amount only to the cost of production and nothing more. The staff of NSM work on a part-time basis because NSM runs by faith and as the Lord provides.